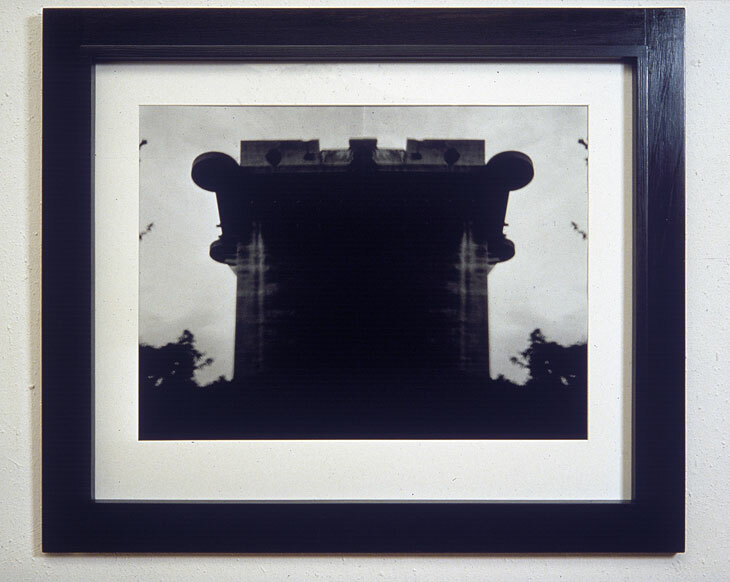 Photo-object, 92x108x4,5 cm. One of the first photo-objects. The photograph was exposed just before closing time in Vienna's Augarten on Sunday 14.9.1986.